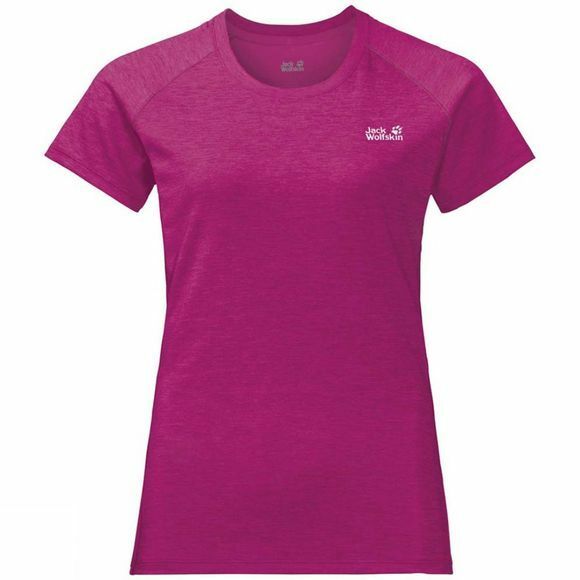 Whether you are going uphill, downhill or moving fast on level terrain, during sweat-inducing activities like trail running or speed hiking, the Womens Hydropore XT Shirt from Jack Wolfskin helps you maintain peak performance. This stretchy shirt has an athletic fit and hugs your body closely, so it wicks perspiration effectively and dries again quickly. The additional attributes of the special Hydropore fabric also ensure you enjoy those high-output activities to the full. The fabric is hard wearing, protects you from UV rays and has odour control properties.